Below is a spectral analysis of Himalyan pink salt as it is typically found. 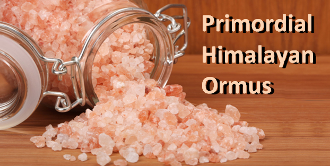 The list shows all the trace minerals, electrolytes, and elements contained in Himalayan salt. Himalayan salt is a rock salt popular among health food advocates who seek it for the nutritional value of its fairly abundant trace minerals. The sodium chloride content is 97.41% and meets the worldwide necessary standards for table salt. Locally collected Ormus minerals made with gourmet Primordial Himalayan Sea Salt, Dead Sea Salt, and harmonically structured water.